Saucy Lady and Yuki "monolog" Kanesaka are back with another 7" Hit. 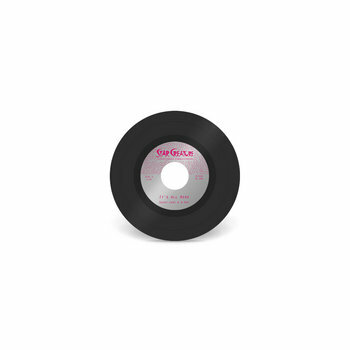 Appearing digitally on Soul Clap's "Dancing on the Charles", the tune has been dancefloor tested and approved and now gets a proper vinyl treatment courtesty of Chicago's Star Creature Records. The B Side features label-mates Shiro Schwarz with a remix treatment featuring Pammela Rojas with an eletric theramin solo. 10/10. 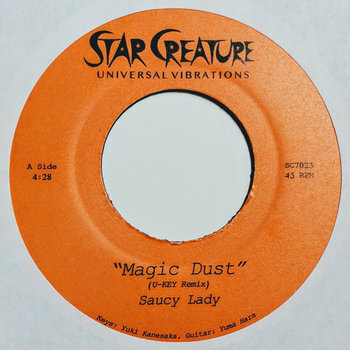 Via Groove Distribution... Saucy Lady is back home with another Star Creature 7"! 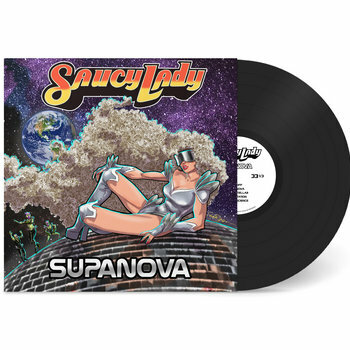 The label is credited with launching Saucy into the Vibrating Universe and since then her efforts on the label have been some of the most in demand contemporary boogie and disco this side of Saturn. A side features a club ready remix from production and life parter Yuki Monolog Kanesaka while the flip gets the ALL STAR treatment from Star Creature Superhero E. Live in his signature sound.